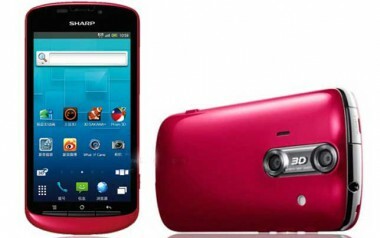 Sharp has announced a new 3D Android smartphone in Japan, the Aquos SH8298U. This is the same phone whose images were posted a couple of months back on the FCC website. Qualcomm Snapdragon processor with single-core 1.4GHz CPU and Adreno 205 GPU, 512MB RAM, 2GB internal memory, dual 8 megapixel cameras on the back for recording in 3D with a single LED flash, 1240mAh battery and Android 2.3.4. The model launching in Japan has a GSM radio instead of the CDMA version that we saw earlier in FCC images. The phone is currently limited to Japan's SoftBank network but we hope to see this gorgeous device in other parts of the world as well.